Thank you for stopping by our website. We like to think that visiting our website is like visiting our home - we want you to feel comfortable and welcome. So please kick your shoes off, relax and stay as long as you'd like. If you have any questions, don't hesitate to reach out to us and we'll be happy to help. Again, welcome and enjoy your stay. Create your own personal site to view and save listings, get information on new listings as soon as they become available and more! Need personal assistance? 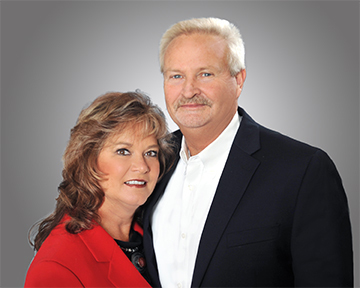 Bill and Cyndi are more than happy to assist you with all your real estate needs. I cannot say enough good things about my experience working with Bill and Cyndi Daves (TeamDaves) in my recent purchase of a Summer home/ vacation property in Andrews/ Murphy, NC. I am a widow with no experience in dealing with real estate and I was very nervous about how to handle buying a house on my own. I need not have worried- beginning with the very first contact with Cyndi, I was in good hands. They were always accessible, answered all my questions and walked me through that maze of contracts and inspections with a high level of professionalism. I could not have asked for better service. I would strongly recommend Cyndi and Bill for any real estate transactions in their area.